Abigail told me about two months before her wedding that she wanted to do a bridal session. A bridal session is a 1.5 hour portrait session with just the bride in her dress. This is typically done about a month before the wedding. 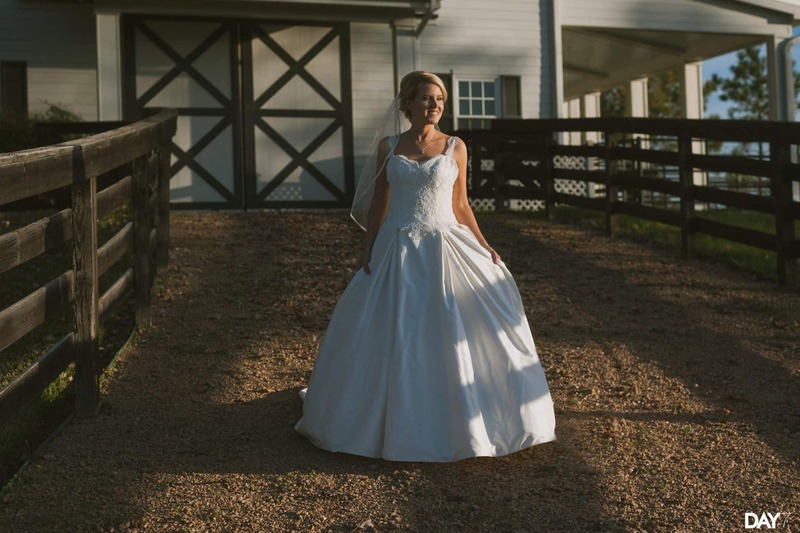 A bridal session is a 1.5 hour portrait session with just the bride in her dress. This is typically done about a month before the wedding. I was excited to hear this from her because bridal sessions are a great way to add variety to your entire set of wedding photos. Having these portraits taken ahead of time can also be a huge help on the wedding day when there are countless activities all happening at once. 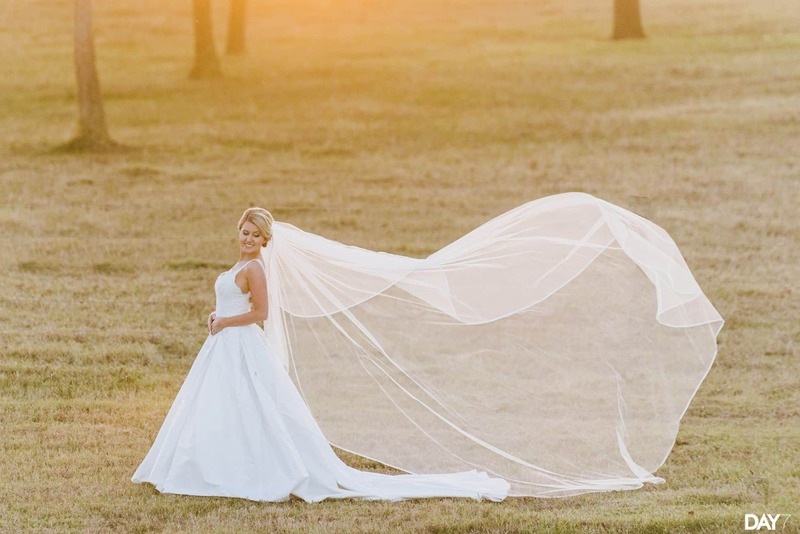 Bridal sessions also give you the opportunity to print photos for your actual wedding day, and many brides will print a large canvas wrap or print to decorate their wedding venue. Bridal sessions are typically done at your wedding venue. If your venue doesn’t provide a complimentary time for bridal portraits, many will allow it for a small fee. 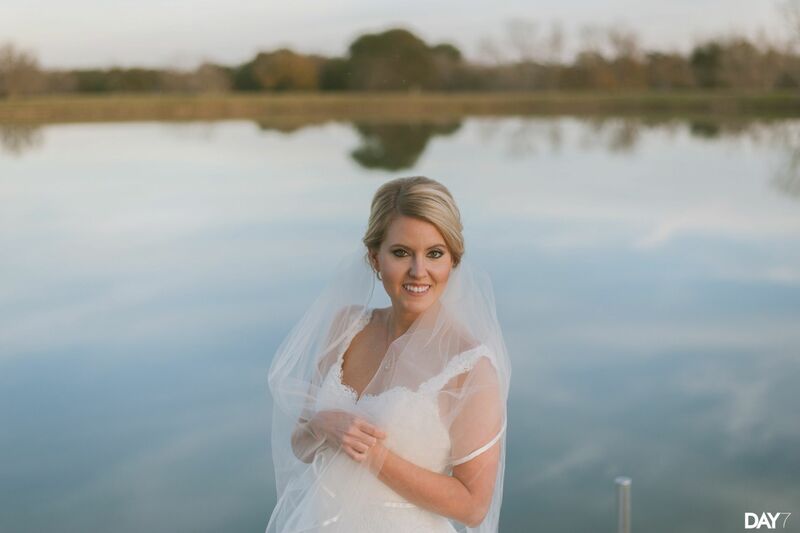 We were able to do these bridal photos at her grandparents ranch in Chappell Hill, which is right in between Austin and Houston. I was thrilled at this idea because it was a completely new place for me, and I knew it was going to be full of wide open space. The wide open spaces, Texas sunset, and the beautiful Abigail all made this shoot come together perfectly. 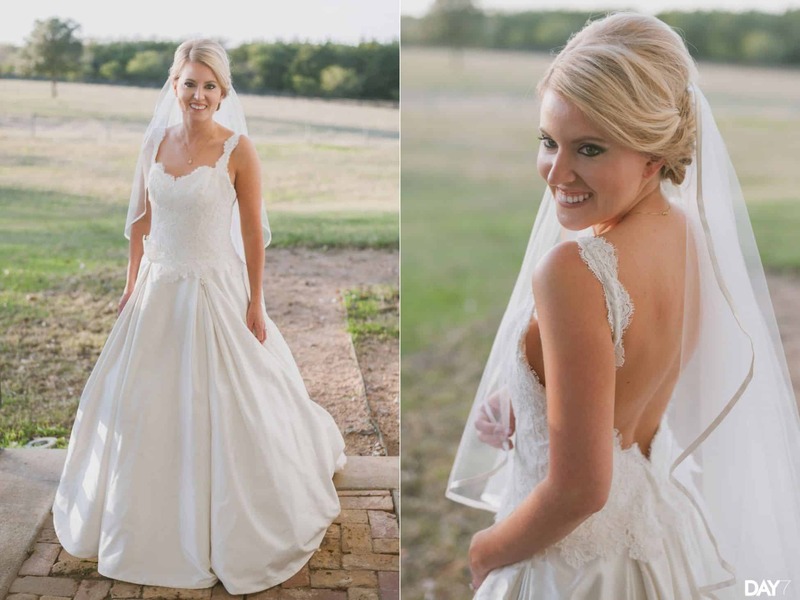 These Chappell Hill Bridal Photos were taken by Day 7 Photography, an Austin Wedding Photographer available for travel throughout Texas and beyond. We create natural, candid, and organic wedding photos for the modern bride. DAY 7 is about slowing down and enjoying the world around us. I believe every wedding is a beautifully complex story filled with raw and authentic moments waiting to be captured. Taking on a limited number of weddings each year allows me to focus intensely on the detail of your unique wedding. I meet with every couple to determine how I can best fit your needs.